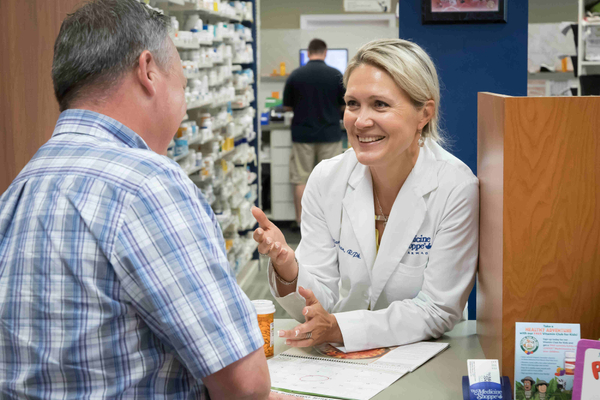 At The Medicine Shoppe® Pharmacy, we’re committed to the idea that quality pharmacy care means more than just prompt prescriptions. To us, quality care means that you get the prescriptions and medications you need, along with the care and attention you deserve. Our pharmacy is dedicated to the wellbeing of your family and the wellbeing of the community. That’s why we offer services such as immunizations, medication therapy management, multi-dose packaging, medication synchronization, important health screenings, and expert care*. We strive to make it convenient for you and the people you care about to live a healthy life. Think of us as your community healthcare destination.